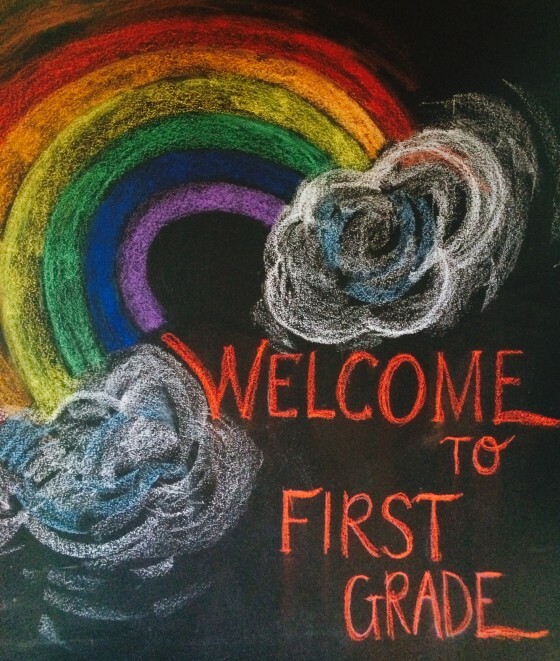 Well, we officially started first grade homeschool today. What fun! “Big” kid circle time games include clapping, stomping and using beanbags to learn numbers, letters and poems. Learning verses and songs through movement. Beginning our year with form drawing, an in-depth pre-writing and orienting exercise used in Waldorf curricula. Learning letters in a magical world where each has it’s own unforgettable character. Creating our own books, from start to finish. Learning to knit, while “knitting” together our right and left brain hemispheres. Diving into our first grade Christopherus Curricula, by Donna Simmons. Unhurried is our pace, slow and steady is our way, balanced is our goal. 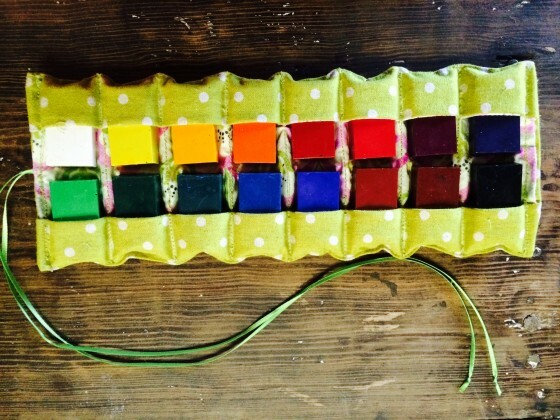 Sofie’s crayon roll to keep her crayons nice and clean. Here’s the pattern, which I loosely followed. 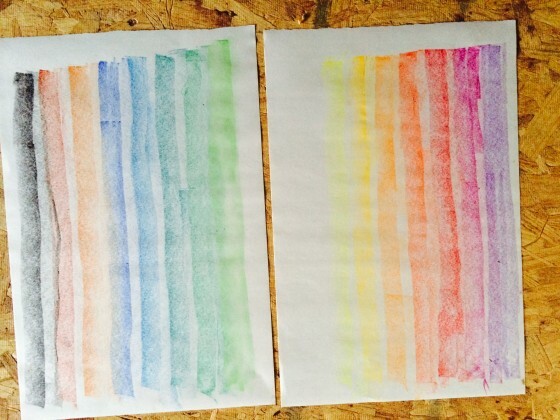 Drawing exercises to warm up our hands and to get familiar with our new block crayons. 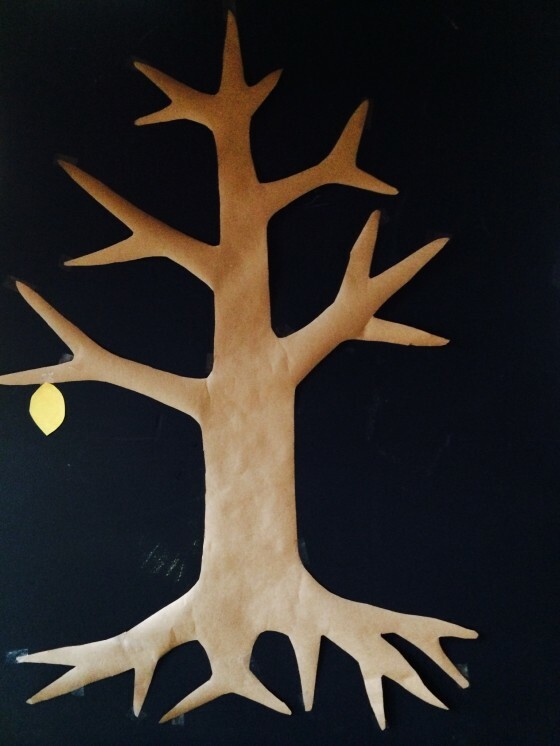 Our weather tree will be adorned with colored leaves to tell us what the weather is that day. 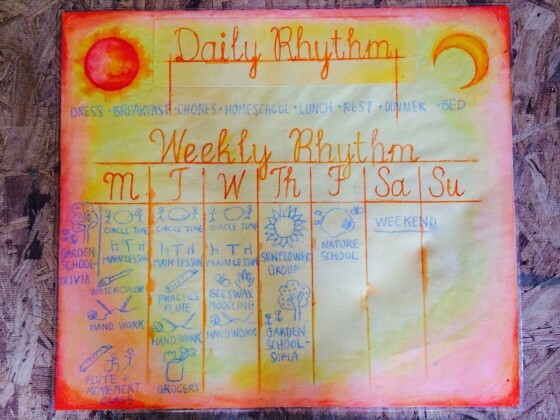 Our weekly rhythm chart, which is the cornerstone of our homeschooling. Oh it makes me so happy to read this. Becca you are an amazing heart of a teacher. I wish so many of us learned and will teach as you teach. Keep us up with school. 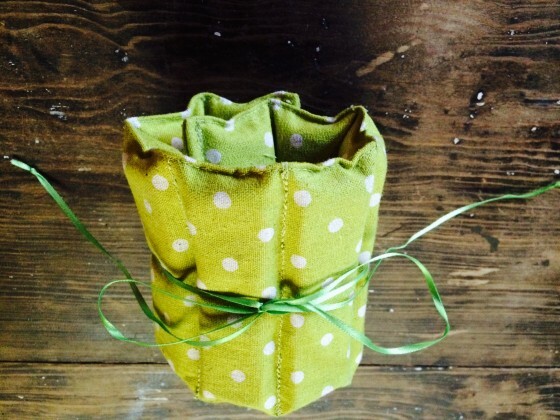 Will you create a resource list of what you are doing as a blog entry? You inner knowing shines through in your words and the beauty you are making on the “outside.” All the best to you and your pupil this year!